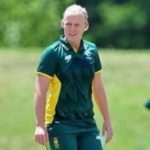 Former Proteas women’s all-rounder Elriesa Theunissen-Fourie died in a motor vehicle accident earlier this week. Her child also passed away in the accident. 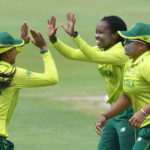 North West were crowned the 2019 CSA Women’s National Week champions after defeating Western Province by seven wickets in the final in Bloemfontein on Friday. 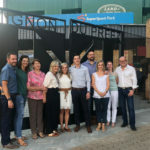 Proteas Women legend Mignon du Preez’s contribution to South African cricket has been honoured by the unveiling of the Mignon du Preez Gates at SuperSport Park. 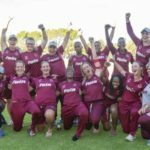 Twenty-one of South Africa’s most talented women’s cricketers are undergoing a rigorous five-day training camp at the Powerade Centre of Excellence in Pretoria. 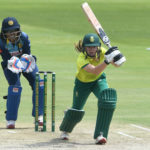 Cricket South Africa have named the intake for the Women’s National Academy, which will run from 2 June to 2 August 2019 in Pretoria. 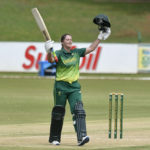 Proteas stalwart Mignon du Preez scored her first ODI half-century in 11 innings as the Proteas Women strode to a 3-0 ODI series win over the Sri Lanka Women at Potchefstroom on Sunday. 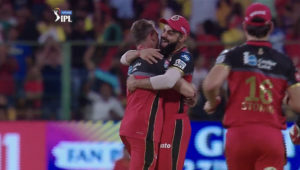 After clinching the three-match One-Day International series with a game to spare on Thursday, the Proteas women are aiming to secure a clean sweep when they play Sri Lanka in the third and last match in Potchefstroom on Sunday. 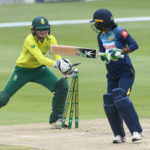 South Africa’s star all-rounder Marizanne Kapp smashed Sri Lanka to all parts of Potch in the second ODI as the Proteas clinched the series, with Kapp’s efforts earning her Thursday’s Play of the Day award, writes ANITHA MADIKIZELA. 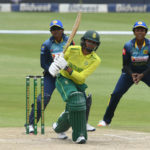 Marizanne Kapp was at her blistering best with both bat and ball for South Africa in the rain-affected second ODI against Sri Lanka to help seal a series-winning 2-0 lead, writes ANITHA MADIKIZELA. 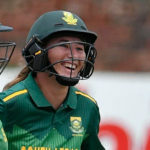 Dane van Niekerk’s dominant Proteas Women are eager to seal the ODI series win when they take on Sri Lanka Women in the second ODI in Potchefstroom on Thursday. 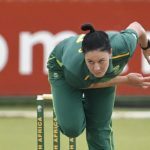 Proteas women’s star Andrie Steyn is pleased with the team’s ability lately to succeed under pressure. 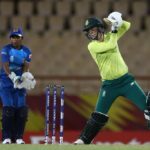 Proteas Women’s wicketkeeper-batter Faye Tunnicliffe will make her ODI debut during the first fixture of the three-match series against Sri Lanka Women at Senwes Park on Monday.